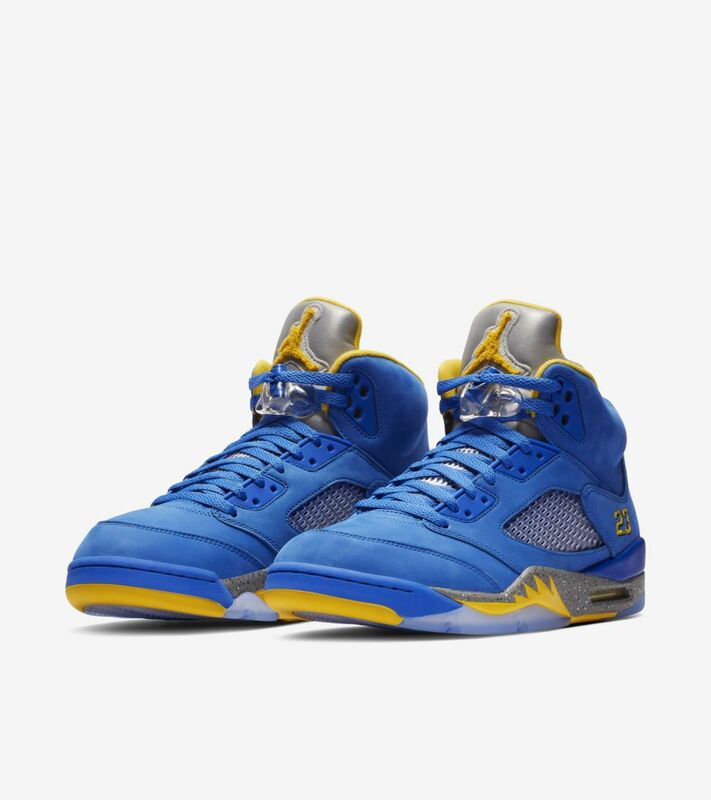 The Air Jordan V revisits a storyline first celebrated back in 2000. 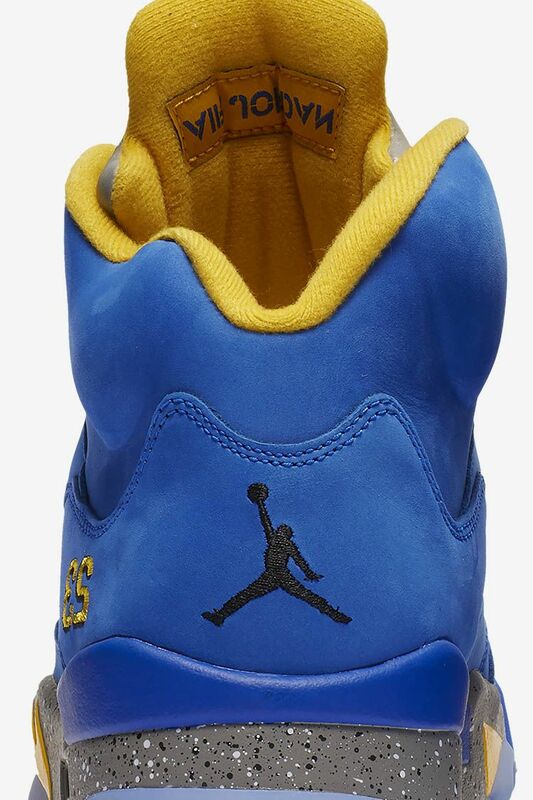 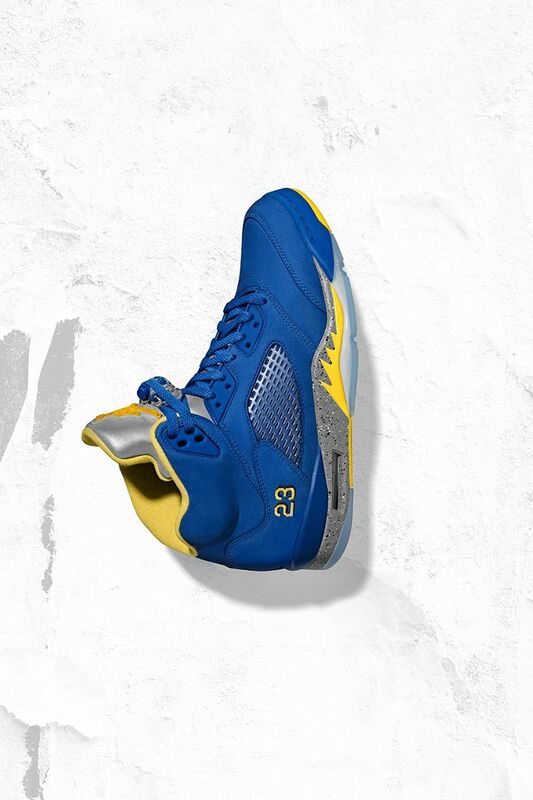 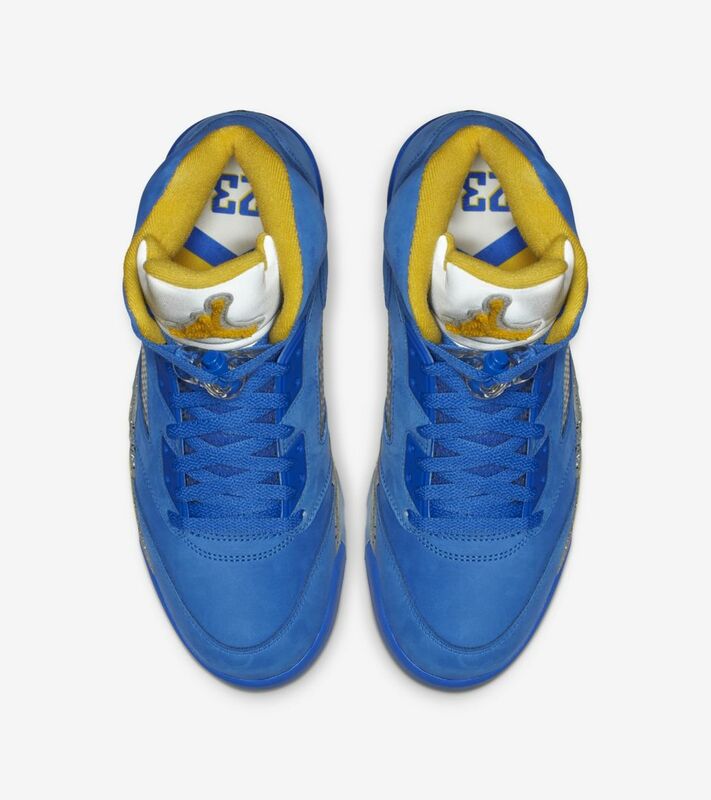 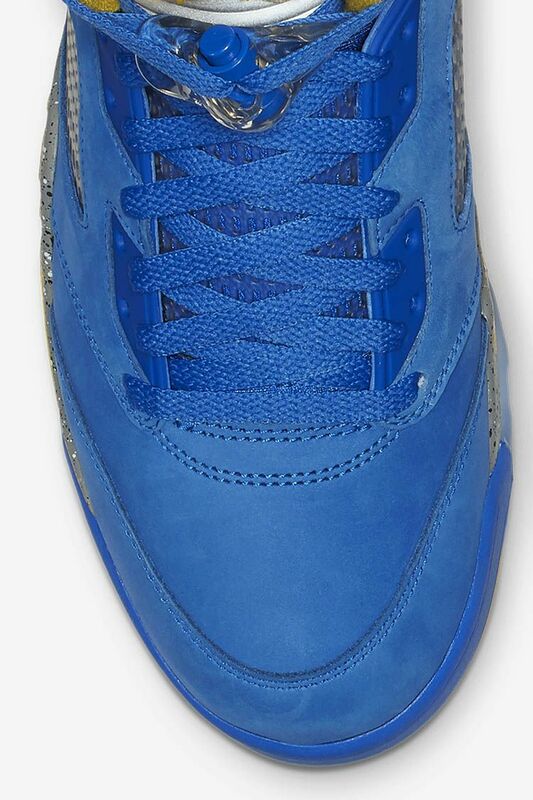 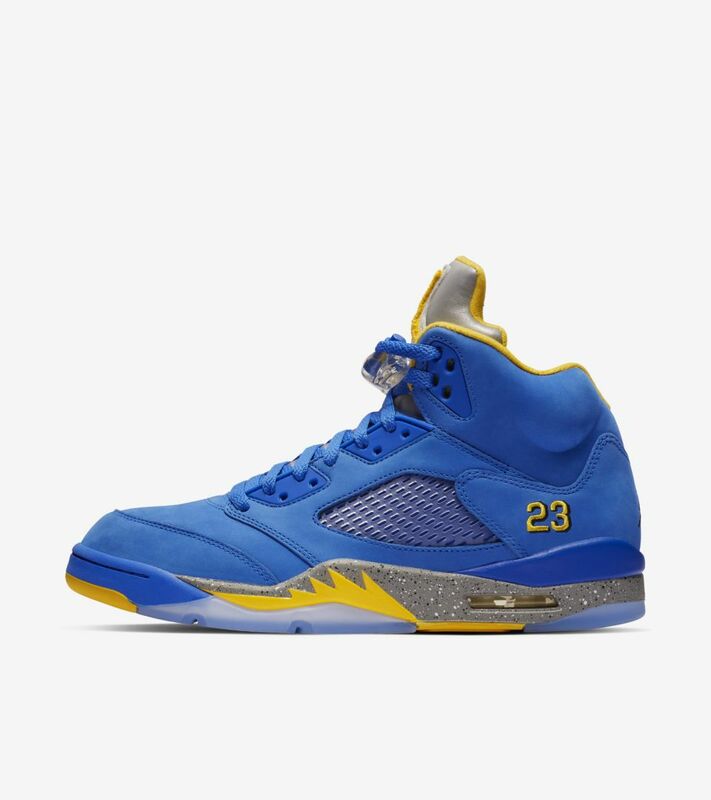 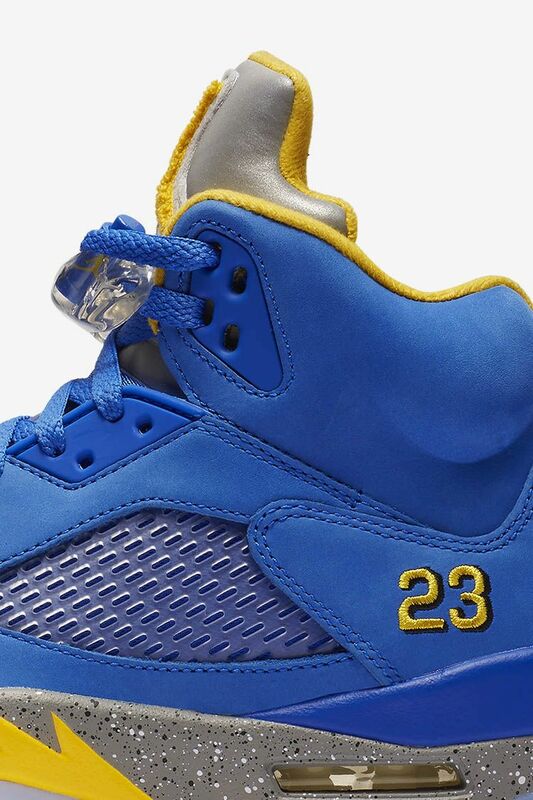 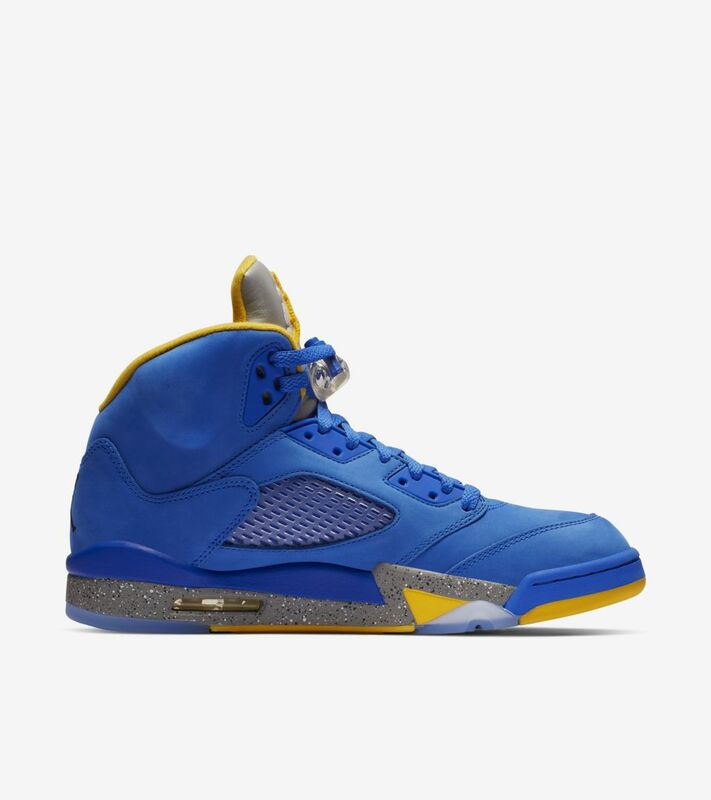 Paying tribute to Michael Jordan's high school, this colourway is ignited with a varsity royal upper, varsity maize accents and the V's iconic reflective tongue in true form. 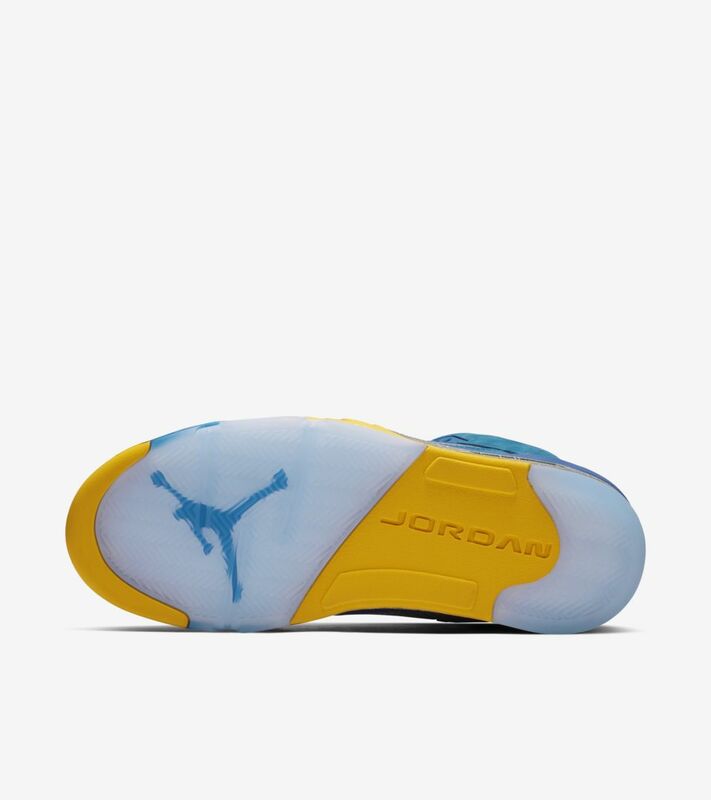 A speckled sole finishes the new design.